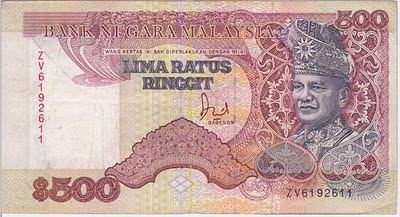 circa 1990s ... any Malaysian note that value at RM500, RM1000 or $500 and $1000 are no longer a legal tender. (additional comment: 14 April 2015) I found this picture online. I forgot where I copy.